Hanukkah Party for the Community! Come and learn the story of Hanukkah. Music, food, and goody bags for the children. 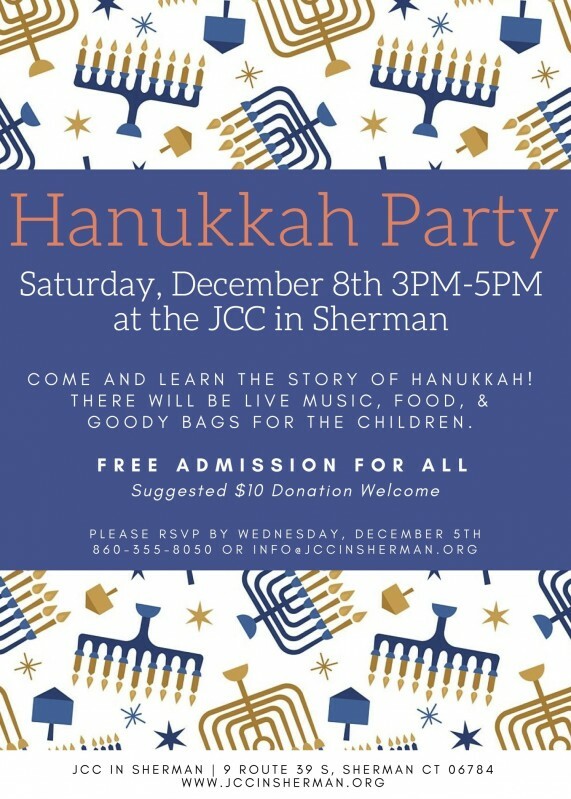 Please RSVP to this event by Wednesday, December 5th by calling us at 860-355-8050 or email us at info@jccinsherman.org.